The combination of garlic, lime juice and chilies gives dish a delicious Southeast Asian flair. Remember the longer you marinate the stronger the flavors will be. These wings are perfect for any casual cookout or game day celebration. Combine all marinade in a large plastic bowl. Trim off wing tips. If using whole wings, cut between the join separating the flats portion from the drummettes. Place wings into a large resealable plastic bag or two regular sized bags. Pour mixture over top, making sure all the chicken is well coated. If using two bags make sure to divide mixture in half and use half of marinade per bag. Let wings marinate for 4-6 hours. Remove wings from bag(s) and reserve marinade. Place wings onto grill and cook for 30-35 minutes, brushing with reserved marinade during the first 10 minutes of cook time. 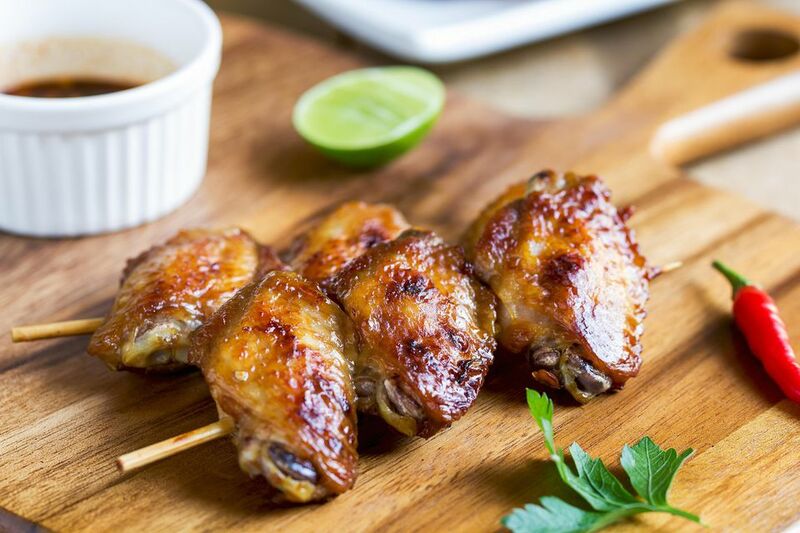 Once wings reach an internal temperature of 175 degrees F., remove from grill and serve.